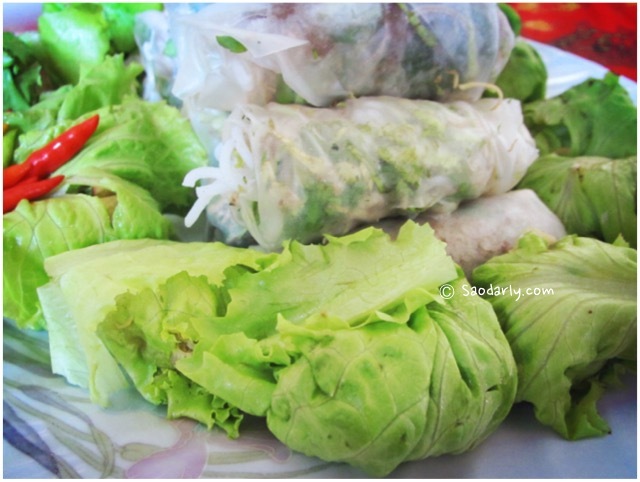 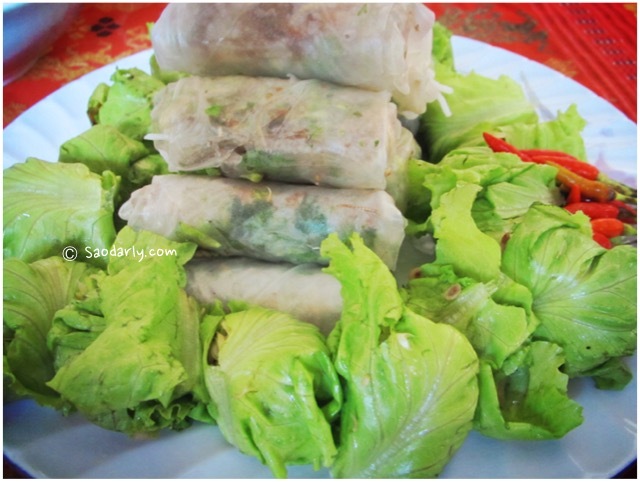 Fresh Spring Rolls (Yor Dip ຢໍ່ດິບ; Yor Khow ຢໍ່ຂາວ) and Miang Muang Luang (ໝ້ຽງເມືອງຫລວງ) for lunch in Luang Prabang, Laos. 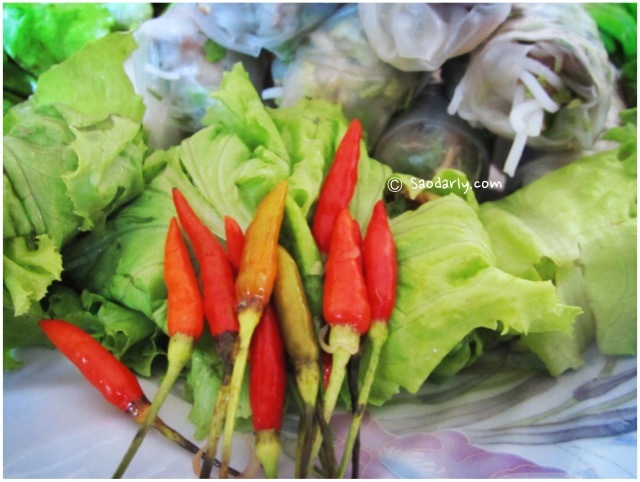 I bought my lunch from the Morning Market (Talat Tha Heua Mae), which is located at the alley next to Wat Mai Suwannaphumaham. 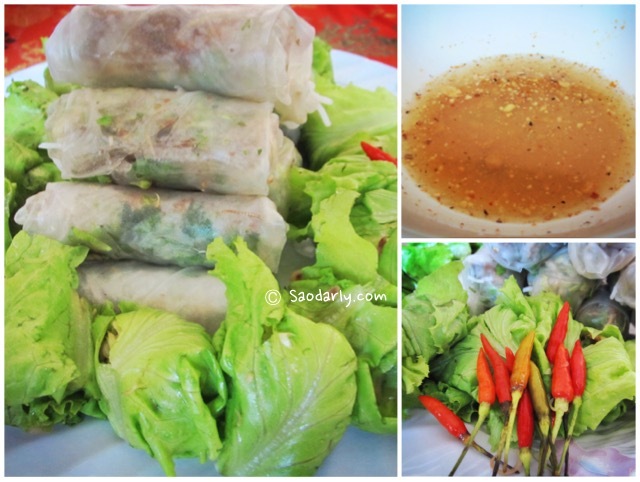 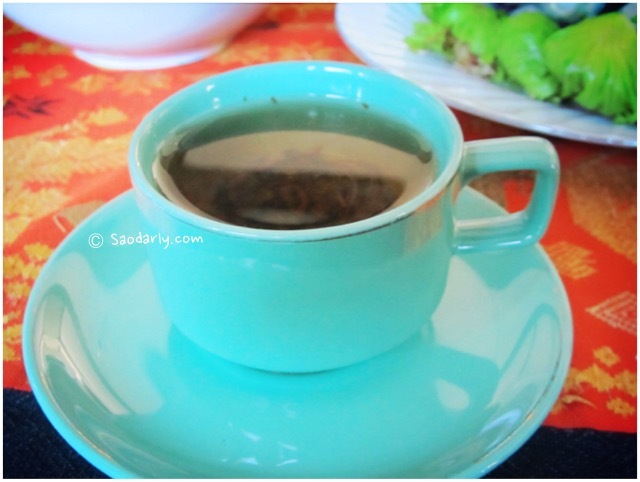 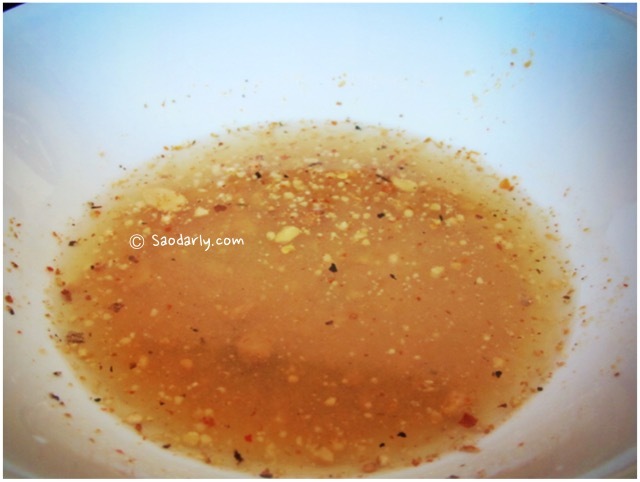 It was a delicious lunch with hot Lao Green Tea to wash down the Miang Muang Luang.